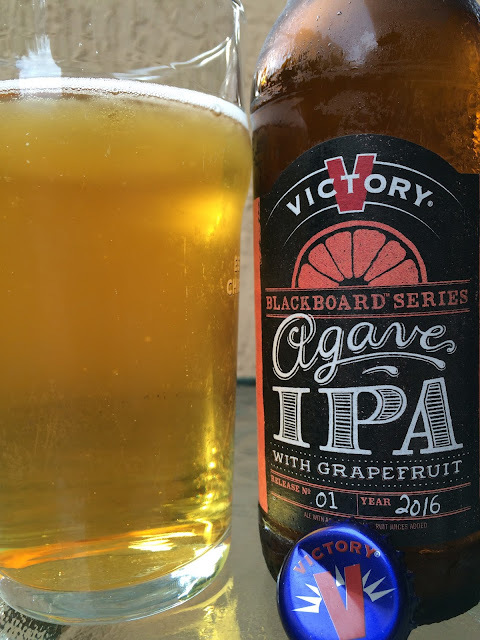 Victory Brewing recently released their first Blackboard Series beer: Agave IPA with Grapefruit. The series will celebrate "adventurous variations of beer." I'm pretty sure you can at least figure out what the idea behind this brew is, am I right? If not, the blackboard theme of the label will help you out. 7.0% alcohol. Release No. 01. Year 2016. Enjoy By 22 MAY 2016. Sweet orange and agave aroma, nice but not very strong. 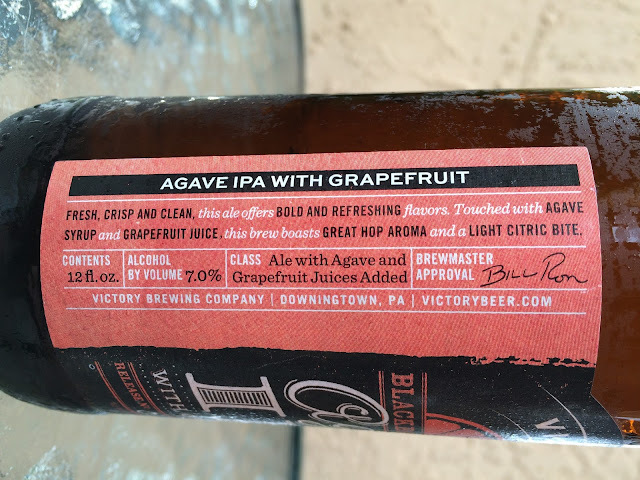 Sweet agave flavors come first, maybe followed by a little fruitiness. That sweetness is instantly met by a sharp bitter grapefruit streak! That huge citric component really dominates the rest of the experience. Alcohol accentuates that bitter bite, especially at the finish, on the "a little too much" end of the spectrum. I found myself reminiscing about the sweet agave and orange flavors from the beginning. Not a favorite but interesting and different and a solid beer to check out for yourself.